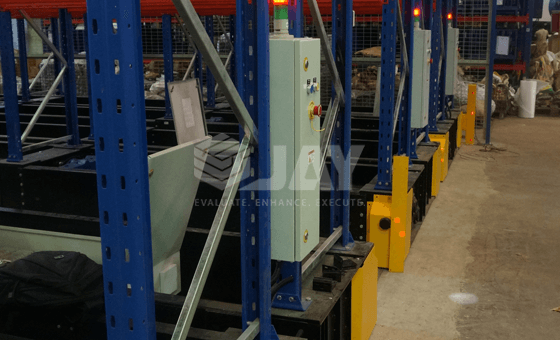 Jay Storage’s Mobile Pallet Racking Systems comprise pallet racking, which is mounted on mobile bases. 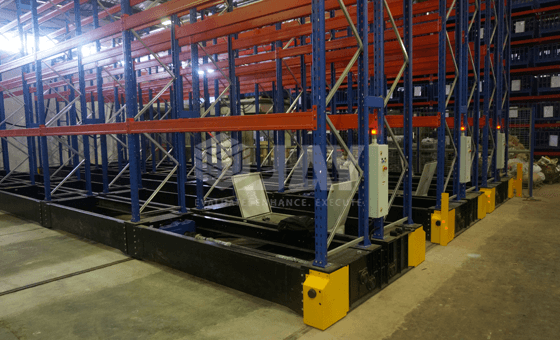 Equipped with motors, the racking can then be moved via rail guidance to locations where a racking aisle is required. This operating principle enables 9 out of 10 aisles to be obsolete, thereby creating new storage space. 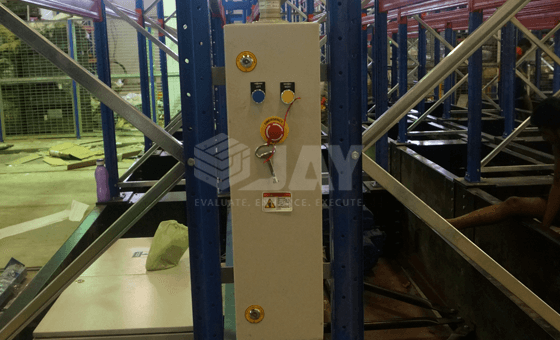 The racking system can be controlled centrally from the control cabinet, and decentrally from an individual rack or by remote control. When individual aisles open, state-of-the-art sensor technology and variable control options ensure ease of operation and absolute safety. 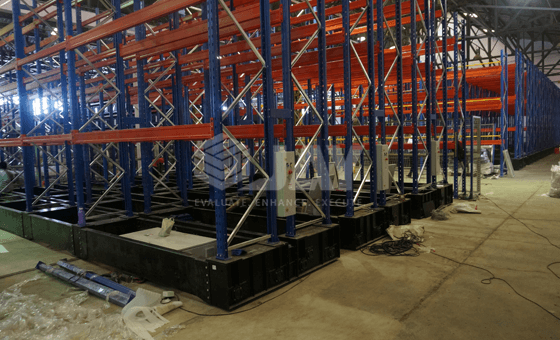 In order to be able to make the rack more compact, thereby considerably increasing storage capacity without comprising direct access to each pallet, the racking is placed on guided mobile bases that move laterally, removing aisles and opening only the aisle that is needed at any given time. The base moves smoothly when the selected work aisle is opened. 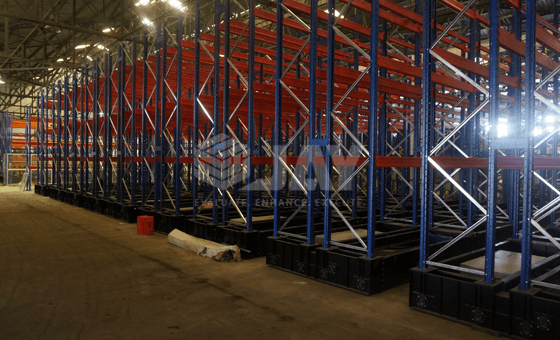 Height, Length & Depth tolerance is the same as for Conventional Pallet Racking. 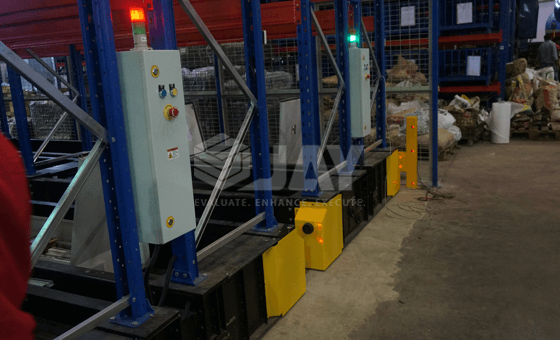 As this is a compact warehousing system that allows direct access to any of the pallet, it is ideal for cold chambers (Cold storage), both refrigerators, and freezers, as many SKU’s are stored, with a few pallets per SKU. 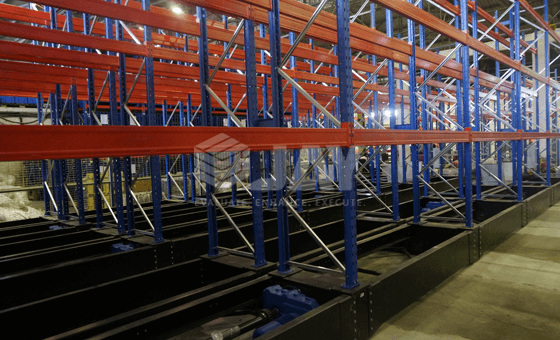 Mobile pallet racking saves on working aisle widths & creates space.